Very straightforward, honest, and they do what they say they are going to do. They have excellent customer service, and they dignify the product. They were right on time. The office people and the people answering the phones were very courteous and professional. I never do Yelp reviews, but I wrote a Yelp review for them, because they walked me though the problem over the phone. They came out, and they really didn't try to replace the motor. They figured out what was wrong with the motor and fixed it very efficiently and cost-effectively. They told me what to do to keep up my garage door in good working order. I would just highly recommend them. They are really knowledgeable, and they don't really try to sell you anything that you don't need. We bought a house with 30-year old original Madden door that was installed by Scott's dad. He came out and was so incredibly helpful. He knew exactly what we wanted based on my descriptions. Everything was flawless and was a much lower cost than anyone else. I liked that it is a family business. Something felt good about using the same company that put in the original doors, and honestly, I felt like they delivered an awesome experience. I was thrilled from beginning to end. 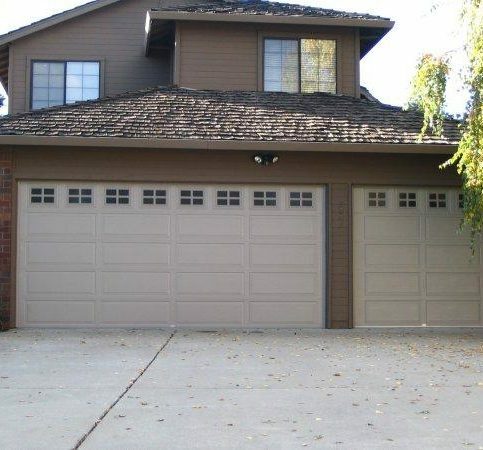 Madden Door & Sons, Inc. has been providing quality garage door systems for customers in Contra Costa, Alameda and Solano Counties and beyond since 1977. Scott O’Neill has worked with his father, Kevin Madden, since 1986 and continues to promote the work ethics and values on which Madden Door was founded. 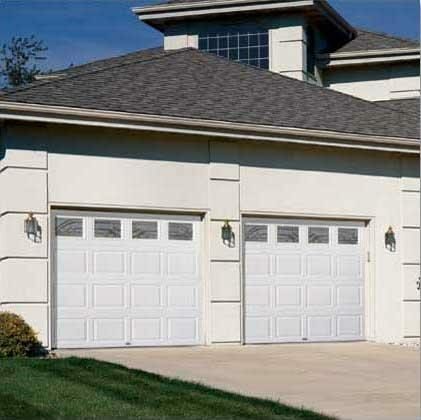 Madden Door & Sons offers a wide variety of garage door sizes, colors and materials. 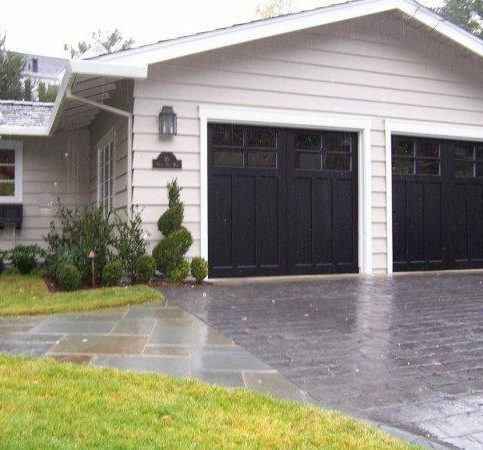 Door panel and window options make the possibilities almost endless, says Mr. O’Neill, but if a customer can’t find exactly what they want, Scott can custom-design a garage door to complement their home’s style. 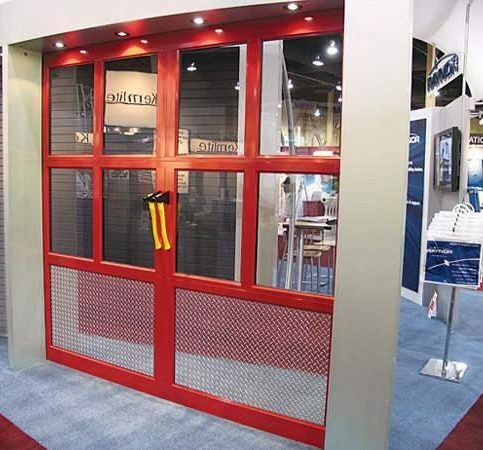 Mr. O’Neill invites potential clients to visit the company’s showroom or view its website to see examples of its work. “Most of our clients are surprised at the number of choices they have and how affordable a quality automatic garage door can be,” he says. Madden Door & Sons also repairs and services both “flip up” and “roll up” doors. It carries most parts in its service trucks, so doors can be fixed on the spot. DIAMOND CERTIFIED RESEARCHED CAPABILITIES ON Madden Door & Sons, Inc.
Company Name: Madden Door & Sons, Inc.
DIAMOND CERTIFIED RESEARCHED ARTICLES ON Madden Door & Sons, Inc.
Madden Door & Sons installs garage door systems in a variety of styles. As a result, the company’s work isn’t tailored to the limitations of products or suppliers. 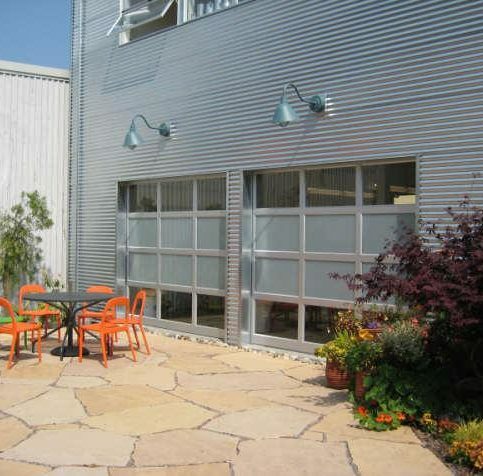 There’s a large selection from which to choose–from basic steel doors to custom carriage house doors. “We have every possible product you could ask for,” says Mr. O’Neill. Always make sure the company you’re hiring is licensed and bonded. You can go to the California State License Board’s website (www.cslb.ca.gov) and enter the license number of a prospective contractor to validate their history and status. While you’re online, it would be advantageous to check the Diamond Certified website to see if the company is certified there. 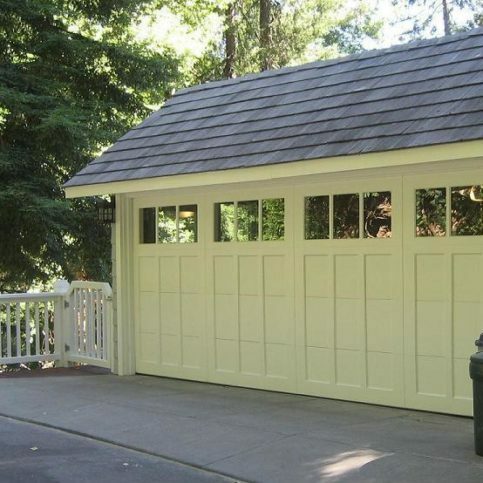 Q: What type of garage door would be good for me? A: We’ll assist you in your decision by asking questions about what you need, what kind of style you like, what your budget is, and so forth. We’ll look at your answers and come up with something that best serves your specific application. 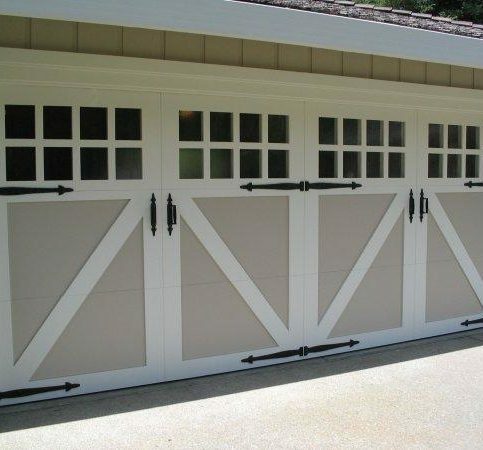 Q: If I want a garage door installed, what’s the lead time? A: Depending on the product selected, our average turnaround time for installation can be anywhere from one week to three weeks. A: The steel doors we carry are insulated with bonded polyurethane, which adds strength enhancement to what’s otherwise pretty thin steel. 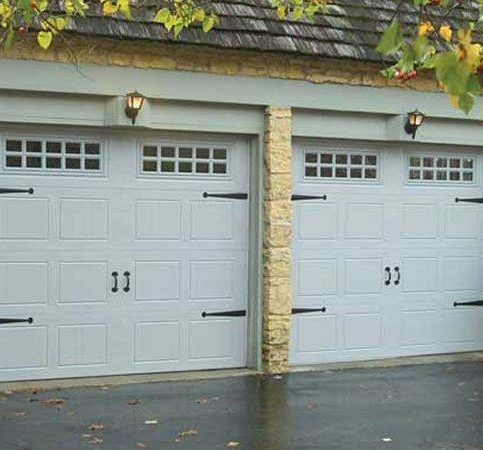 All steel garage doors today are very thin-gauged, and the manufacturers are the ones who decide what to disclose regarding the gauge. Unfortunately, there’s no third-party verification, which means customers have to trust the steel is as strong as the manufacturer claims it is. A: That depends on the type of door you choose. We’ll discuss every aspect with you and come up with an appropriate recommendation based on your needs and wants. A: You’ll have a one-year warranty on parts and labor from the date of installation, as well as extended manufacturers’ warranties. If there’s ever an issue with a manufacturer’s warranty, we’ll work directly on your behalf to ensure you get a fair and equitable resolution. A: Absolutely. Carriage doors can greatly improve the appearance of a home and dramatically enhance its value. Recently, we were hired by a realtor to install a new carriage door at a home that had been on the market for four months. After the new carriage door was installed, the house sold that same week for more than the asking price. It obviously improved the curb appeal, because it’s the first thing you see on the front of the house. 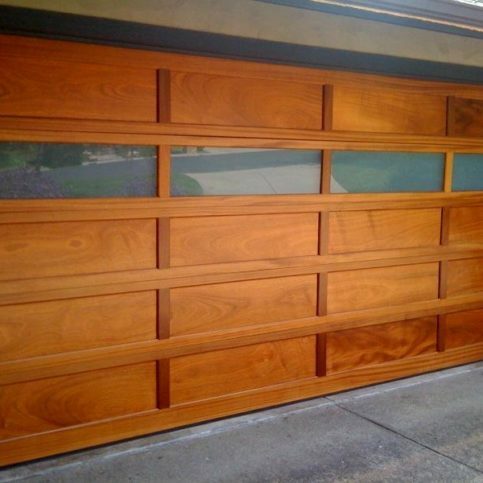 Q: I have a garage door that needs repairing, but it was originally installed by another company. Can you fix it? A: Yes. We do repair work on a wide variety of doors and openers, even those that weren’t purchased from us. We have access to many hard-to-get parts, so if a model is still being made—or if the parts are available—we can solve the problem. If not, we can appropriately advise alternate solutions. Q: Do you offer any incentives or specials? A: Yes. You can visit our website and find deals you couldn’t get otherwise. We have a “specials” page for doors, garage door openers and service. SELECTED PHOTOS FROM Madden Door & Sons, Inc. 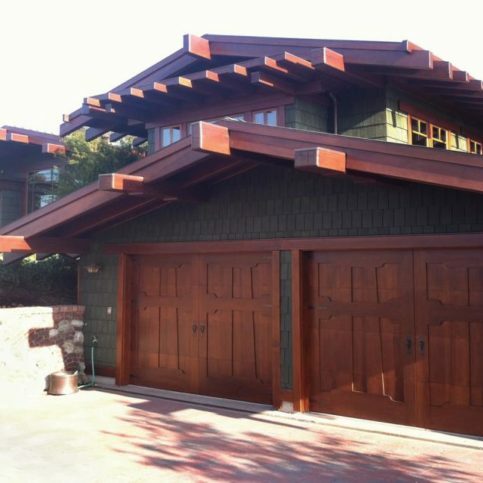 The windows in this Madden 1000B garage door were modified to match this Orinda home. 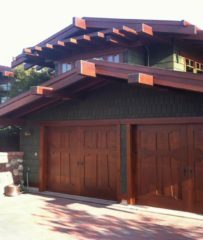 The windows in this Madden 1000B garage door were modified for this hilltop home in Walnut Creek. Scott O’Neill is sales director at Madden Door & Sons, Inc., a Diamond Certified company since 2007. He can be reached at (925) 335-6946 or email. Scott’s recommendations soon proved beneficial for both the business and its customers. “We developed a new customer service model around serving the needs of individuals while adhering to the larger goals of the community,” he says. “We also changed the way we sold our garage door systems to reflect ‘prudence to purpose,’ which takes into account how each product functions within a client’s home as a whole.” Today, customers of Madden Door & Sons, Inc. continue to profit from Scott’s extensive expertise. MARTINEZ — The most common call garage door technicians get is from homeowners whose doors inexplicably won’t close. Fortunately, this common problem often has a simple solution and rarely requires the assistance of a professional. 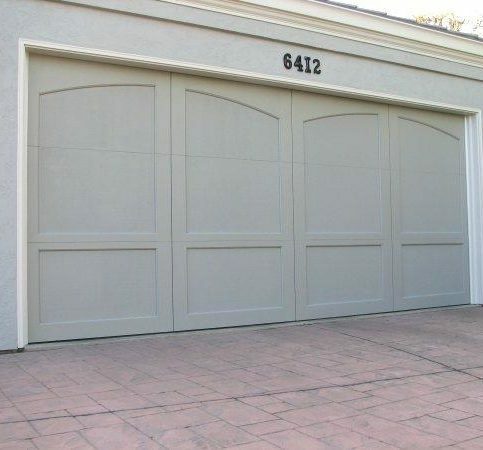 When a garage door won’t close, it’s usually due to an issue with its safety sensors. 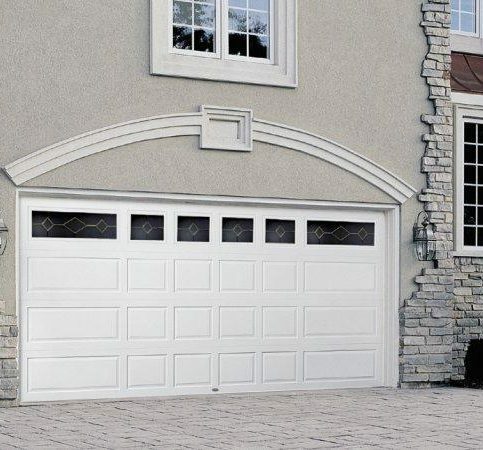 Located on either side of the door just a few inches off the ground, safety sensors stop the garage door from closing when something gets in its path, which helps prevent damage and bodily injury. Safety sensors function by transmitting a signal between each other. When something interrupts this signal, the garage door will cease to function properly. This signal interruption can result from a couple of potential causes. The first is if there’s an obstruction blocking the safety sensors’ signal transmission. Almost anything can be an obstruction, including your own body. However, while most are obvious, one that often goes undetected is spider webbing, which can be surprisingly effective at disrupting a signal. That’s why it’s a good idea to periodically check for spider webs and brush around your door’s safety sensors. As an added measure, you can use a Q-tip to wipe off the sensors’ lenses. Never use a hose to clean the areas around the sensors. The other potential cause of signal interruption is if the safety sensors’ lenses (sometimes called “eyes”) are out of alignment. Typically, this is signified by a blinking indicator light on one of the sensors (only one of them has this light). To fix this issue, readjust one of the sensors by loosening the adhering wing nut and repositioning it. Once properly aligned with the opposite sensor, the indicator light will remain solid. If the light continues to blink, go to the other side and readjust the opposite sensor until you achieve proper alignment. 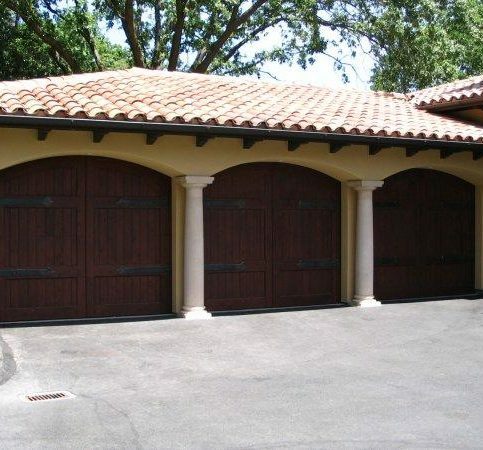 If your garage door still won’t close after addressing these two potential causes, there may be a larger underlying issue that requires a professional’s insight. However, this doesn’t change the fact that you still need to close your garage door, which you can do by using one of two methods. The first (and easiest) is to employ the security override. 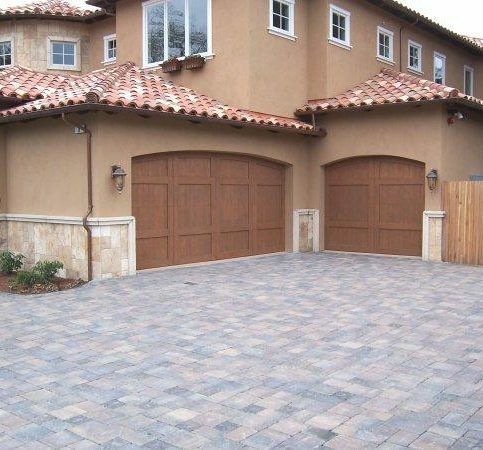 Most garage doors have a built-in override for the safety sensors that can be engaged by pressing a button mounted to the wall. However, in order for it to work, you have to hold the button down until the door is fully closed—if you release it prematurely, the door will open back up. The other way to close your garage door is by using the emergency release (the red cord that’s hanging from the motor rail). Once it’s disconnected from the motor, this cord allows you to manually operate your door, which is a useful feature in the event of a malfunction or power outage. However, be careful—if your door is in the “up” position, it could come crashing down when disconnected from the motor, so take full precautions before taking this route. 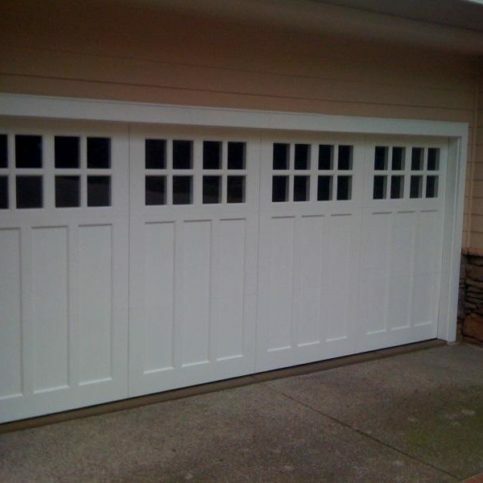 Once your garage door is closed, contact a professional to come out and look at the problem. MARTINEZ — Host, Sarah Rutan: If your garage door is not working properly, it might be a spring or sensor issue. So, today we’re in Martinez with Diamond Certified Expert Contributor Scott O’Neill of Madden Door & Sons to learn what to check for if your garage door won’t open or close. Diamond Certified Expert Contributor, Scott O’Neill: So, we get a lot of calls about garage doors where the garage door won’t open and one way you can check that is if you look up above the garage door where the springs are, you’ll want to see if there is a separation in the springs. Usually a definitive gap on an inch or so indicates that you have a broken spring. If that’s the case, consult a professional and get that garage door repaired by a professional. 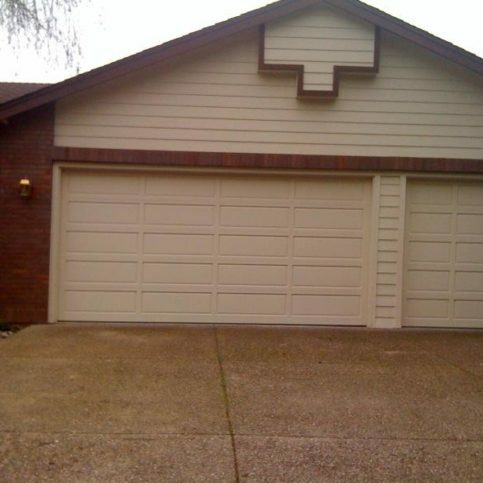 But today’s focus is about garage doors that won’t close. 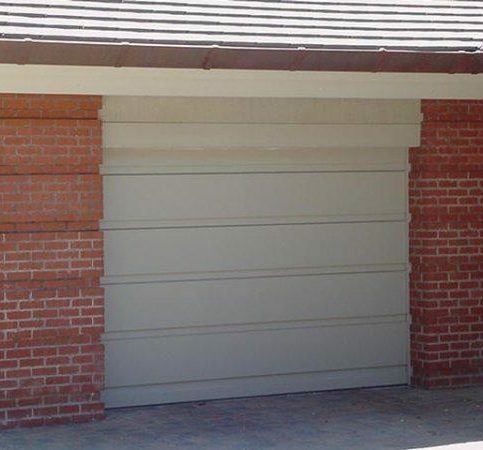 Most of the time, it’s a problem with the safety sensors at the bottom of the garage door. 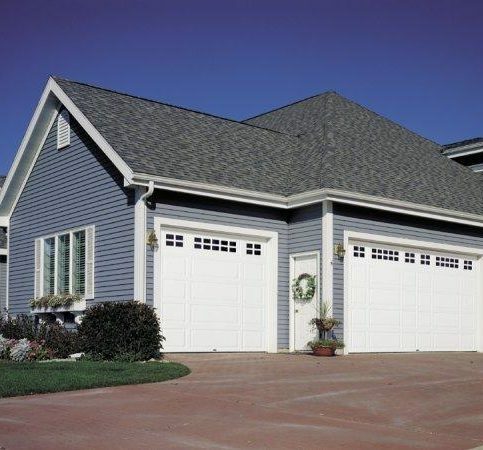 Namely, with every garage door opener, you have a pair of infrared safety sensors on either side of the door, typically located between four and six inches off the ground, The safety sensors need to be in alignment at all times and need to be able to see each other, much like a pair of cameras. If they don’t see each other, the door won’t close. Sometimes it may be that the sensors are blocked, there might be a spider web on the sensor itself, it could be that the sensor is just out of alignment. Here is a case where an infrared sensor is out and you can tell there is spider webs around, the light is blinking, lots of reasons can cause this. Make sure it is clear of spider webs. You can loosen the wing nut an re-align the sensor so that it sees the opposite side sensor across the garage door opening and when the lights on solid, you know you have proper alignment. This light will only be on one sensor so it does not mean that only this sensor is out of alignment. If you have tried this on this side, go to the other and try it there as well until this light comes on solid. Do not spray a hose inside your garage to clean it out near the sensors or you can damage them. But, remember the key component, you’ll always know it’s a sensor issue when the door does not want to close. Check those first. Host, Sarah Rutan: To learn more from local, top-rated companies visit us Diamond Certified Expert Reports at experts.diamondcertified.org. MARTINEZ — Host, Sarah Rutan: If your garage door suddenly refuses to close, don’t worry—there are a couple of solutions to this problem. To learn more, we’re in Martinez with Ray Hefner of Madden Door & Sons, speaking on behalf of Diamond Certified Expert Contributor Scott O’Neill. Ray Hefner: Yeah, we’re going to do a word about our garage door safety centers today. It’s probably the number 1 call that we receive, is people leaving the house and they can’t get the garage door to close. 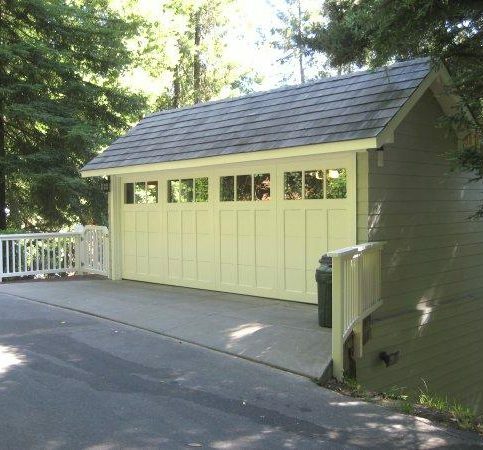 Usually, it’s something as simple as the safety centers down at the bottom on either side of the garage door. If for any reason one center cannot read the other center, the garage door opener behaves like something is in the way. So, as a safety precaution, it’s not going to close down, as a protection for small animals, items, or especially children and people. So, what we can do here is we can take and adjust this wingnut. And what that’s going to allow us to do here is to line this up, giving us a solid light here. That tells us that the centers are aligned. Once we get there, we can tighten this and make sure that everything is set up. But once we’re down here, we want to take the moment, clean off some of these spider webs and cobwebs. You can get a Q-tip to kind of wipe off the lens if you need to. Make sure that everything around here is clear and nothing’s going to obstruct it in the future. Now, I’m sure you’re asking, “If the garage door won’t close, how do I get it to close?” There’s 2 ways. The easiest way, most manufacturers have a built-in, basically a security override for the garage door sensors. And what that is, is a button that’s mounted to the wall. You want to press and hold that button down. Typically, if it’s a safety center issue, the garage door’s going to close as long as you’re holding that button down. If you release the button before it reaches full close, it’s going to open back up. So, that does 2 things. It allows you to close the garage door. But it also tells us immediately that it is definitely a safety center issue. The other way is, there is a release cord on your garage door opener that you pull down. It releases the garage door and allows you to open and close the door by hand. Host, Sarah Rutan: To learn more from local, top rated companies visit us Diamond Certified Expert Reports at experts.diamondcertified.org. Diamond Certified RATINGS ON Madden Door & Sons, Inc.
Madden Door & Sons, Inc. : Average 9.4 out of 10 based on 325 unique customer surveys of customer satisfaction. They are a family owned business and easy to work with. We got the best price and they paid attention to all the details. It is easy to trust them. It is the trust. They are very accommodating. I would have to say, it is the quality of the workmanship and their responsiveness. They do good quality work. They were k0wledgeable about their products and procedures. They are reliable, dependable and they do great work. I like the quality of their product and the professional nature of the company. I really like that they say they can get the job done and follow through exactly to the specifications that were laid out in the consultation process. It's their follow through and the woman in the office was great. I like the design options and the onsite visit. I highly recommend them. They provide a good value. I told them that they did a really good job. They were really helpful about our system due to the age. They told us that the one that we had was still good and that it would last for a few more years. Very considerate, and they do what they say. The owner, Scott, was really helpful about the entire process. Kris, the person, they sent out after I talked to him was just as professional. Overall everything that they promised was done very well.